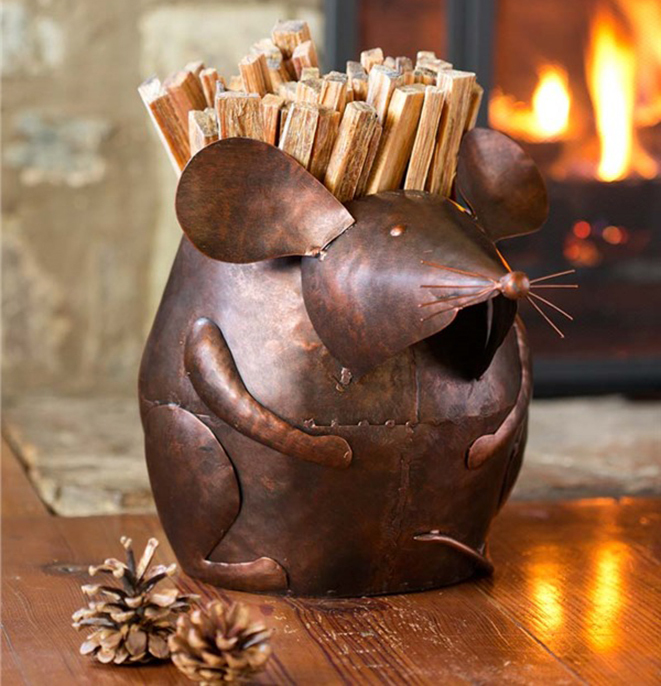 GardenSmart :: ARTICLES :: Cold Weather, Warm Hearth - Get Ready for Fireplace Season! GardenSMART :: Cold Weather, Warm Hearth: Get Ready for Fireplace Season! 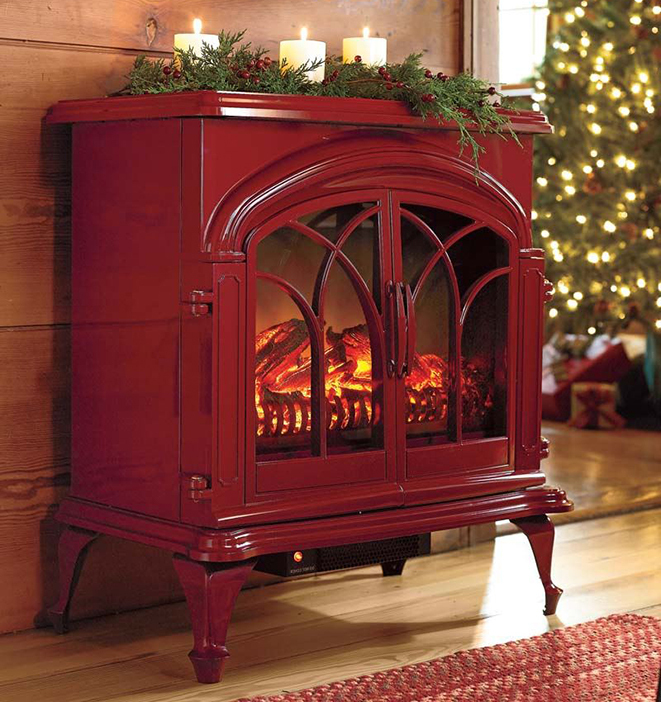 Cold Weather, Warm Hearth: Get Ready for Fireplace Season! Now that the chilly days and frosty nights of winter are taking hold, a crackling fire moves to the top of the wish list for many of us. Of course, we also want that fire to be safe and last as long as possible. Fortunately, whether you have a soaring stone fireplace, a modest wood stove, or even no hearth at all, a little preparation is all you need to start enjoying the heat and warmth of dancing flames. Getting your flame going isn’t always easy, so in addition to making sure you have plenty of long matches on hand, we recommend a fire-starting aid such as natural fatwood or pre-made fire starters. They’ll burn long enough and hot enough for your other kindling and wood to fully catch without the frustration that comes with trying to get everything started again and again. Make sure you have the proper items for maintaining your flame as well as your fireplace or wood stove. 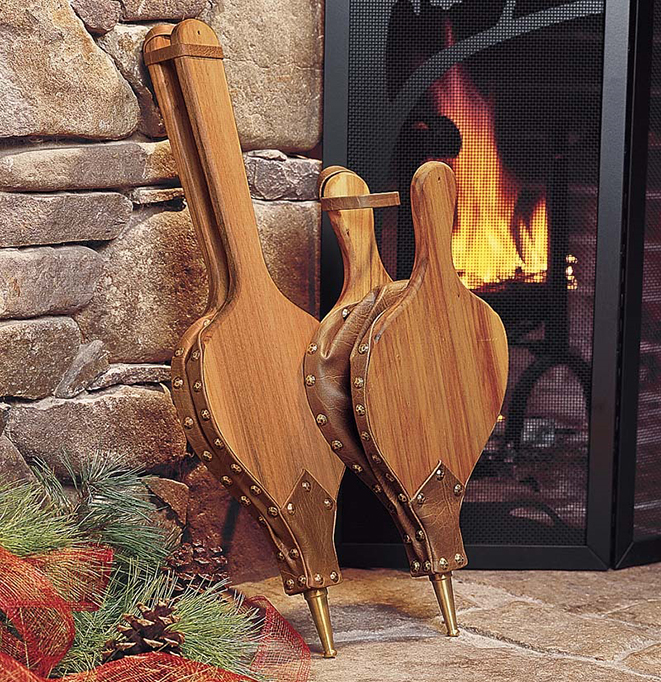 While you can buy fireplace tools individually, they usually come in sets composed of a poker, shovel, and brush, along with a stand; some sets also include a log lifter. If you have fires regularly, you might want to add a hearthside ash can or coal hod to make cleanup quick and easy; for heavy hearth use, it’s a good idea to invest in an ash vacuum. Of course, any time you start a blaze in your home, there’s a risk: sparks can pop out, and children and pets can get a little too close for comfort. 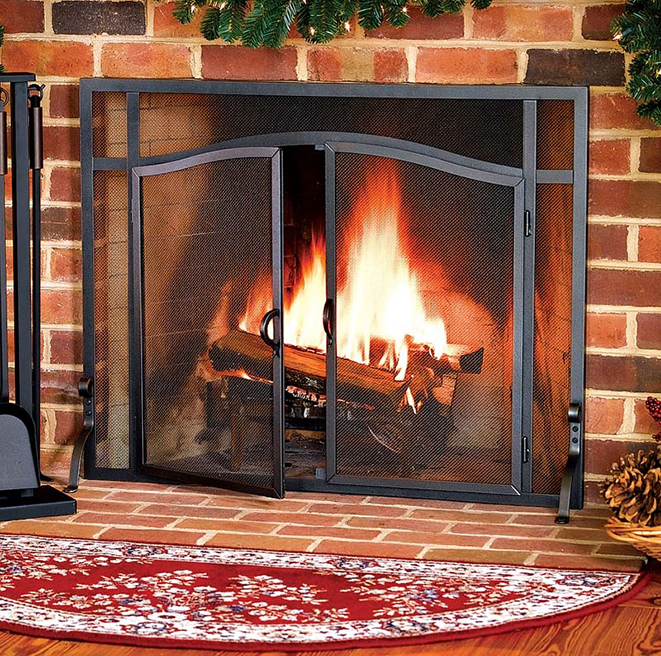 Prevent any such incidents from ruining your day by placing a fire screen in front of your fireplace. Before you buy, be sure to measure your fireplace opening so you know how much screen you need to adequately cover the edges of the opening. 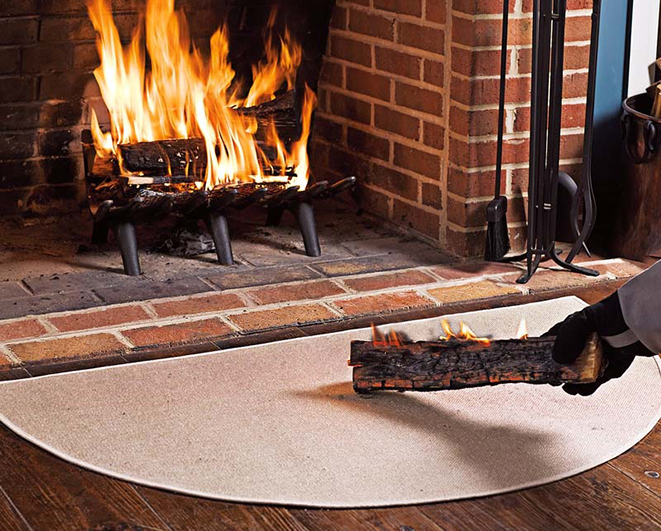 For extra security, place a fire-resistant rug in front of your hearth or stove to catch any errant sparks. Once you have your blaze started, it’s not always easy to keep it going! It’s a good idea to keep some type of bellows or blow poke on hand to pump more oxygen into your flame when it’s getting puny. Use caution, though; creating too strong of a breeze can blow ash and sparks around, so start with small puffs and work your way up from there as needed. You can also keep your fire burning more efficiently by placing your logs in a fireplace grate, which will keep those logs closer together and thus create a better burn. Styles and sizes vary, from simple to elaborate and even customized, so there’s one for every taste and budget. 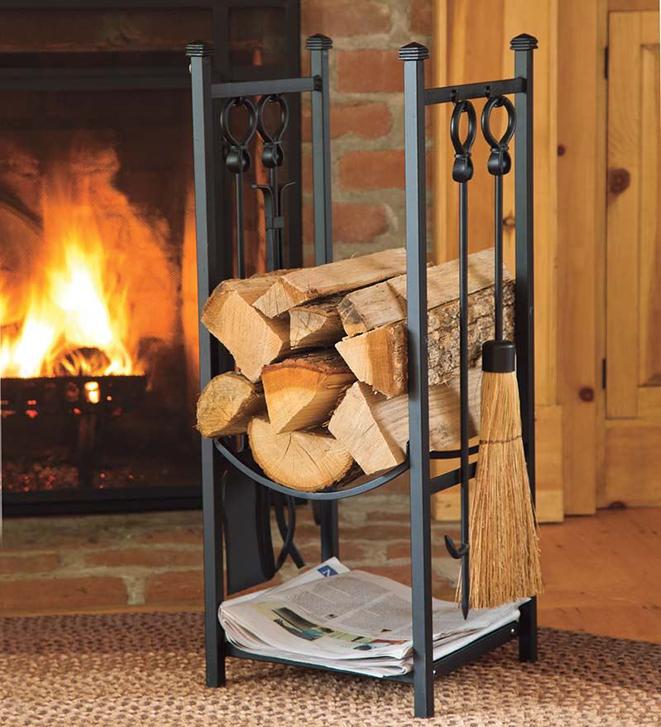 Finally, to ensure you can add wood the moment the fire needs it, hearthside log storage is always a good idea. 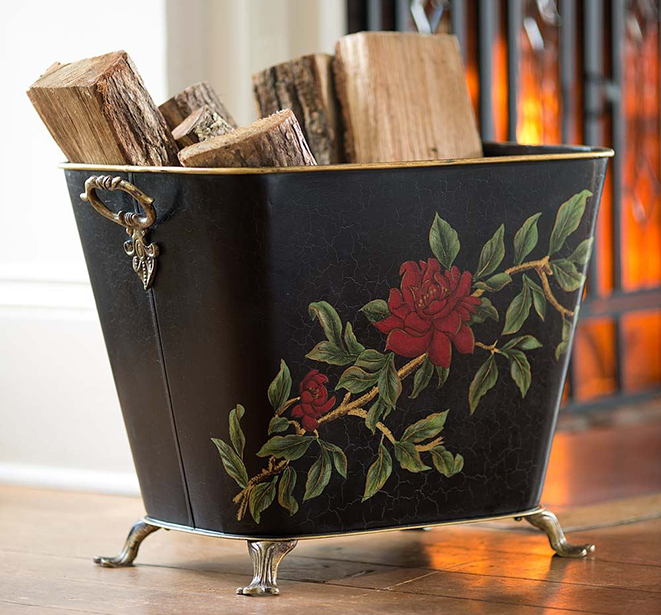 Depending on your space, you can go big, with space for plenty of logs as well as kindling (some racks even come with tools), or small, such as a bucket that’s just big enough for a few logs. A sturdy pair of fire-resistant gloves is also a great investment. Of course, there are some homes that don’t come with a fireplace or wood stove—but that doesn’t mean you’re out of luck! While you may not be burning wood, there are plenty of electric fireplaces available that will beautifully heat up your living space. Some give you the look and feel of a traditional hearth, while others have the more rustic appearance of a glassed-in wood stove. No matter what style fits your décor, nearly all electric options these days offer plenty of warmth and realism—so you’ll still get to enjoy warming your toes in front of a glowing flame on a brisk winter night.